So I'm looking for mid-cap magazines for my L85 & the only good deals im finding are for plastic ones. 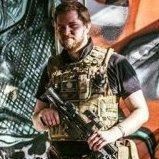 On airsoftworld they have some amazing reviews, better than the metal ones actually but are they worth getting or should I stick with metal? If you want your rig to feel lighter go for plastic. I've never used plastic mags (they aren't even made for MP5s!) but I've not seen anyone with snapped or structurally broken ones. I use metal MAG 190rd midcaps with my G&G raider, not sure if they'd feed in your gun though. Admittedly I had some problems with them at first, but once I worked them in they now feed flawlessly and are rather cheap in my opinion. i have these and they feed flawlessly in my G&G MP5, i just need to stretch the springs a little bit. Doubt you can really go wrong with plastic M4 magazines. Bodies arn't really having any loads applied to them so unless you're deciding to stack em together to build a bridge you shouldn't have too many problems with the plastic bodies themselves. Only problems i have with G36 ones are the lugs snap off quite easily, especially the TM ones. There are actually plastic mags for MP5s, in fact it's funny you should say that because I've never seen metal MP5 mid caps, ever! I looked around for almost a month before settling with the same King Arms set of plastic ones someone else linked above. My old ones were metal, as are my mates can't remember the manufacturer though.